Editor's note (10/03/15): Since this blog post was published, Caribbean Wraps no longer operates from this location. The space has reopened as a very similar establishment: Caribbean Flavah. If you simply must have Caribbean Wraps, however, don't worry: according to their Facebook page, they still cater events and parties. You may email them for more information. There are a lot of great places to eat in downtown Oshawa. And I’m not just saying that because my writing these things relies on it being the case. I have many favourites, and I am consistently surprised at just how new some of my “favourites” turn out to be. I’ve just begun the final semester of my undergrad, and in preparing to write my next blog post it occurred to me that had I taken on all of this eating and writing (poor me) just two years ago, some of my favourite places wouldn’t have been around. Sure, there are places like The Rainbow, decades older – and still far more lively on a Sunday – than am I, but Berry Hill only opened in April 2013, and Tutto was niente until September that same year. This is kind of an exciting time for the city if you happen to be a small business, or a person who eats food. And a big part of that excitement, for me, is the newest of the new: Caribbean Wraps, which opened up shop at the very end of April 2014. That’s not even two exam periods ago. 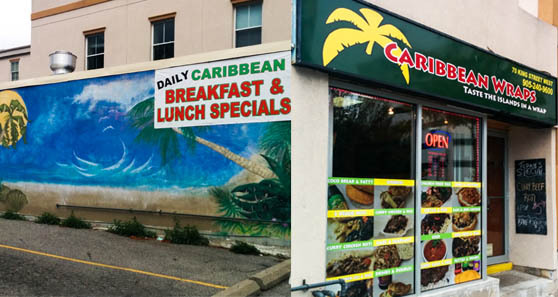 Owned by David and Jackie Faerber, Caribbean Wraps was launched with hopes of offering a sampling of Caribbean food and culture right here in Oshawa. 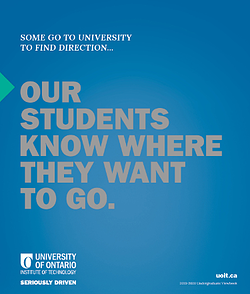 UOIT students are eligible for a 10% discount on everything – just show your ID. Open until 8 p.m., their hours run a bit longer than their neighbours', which is worth a mention if your classes end around 5 p.m. right as the cafés are closing! 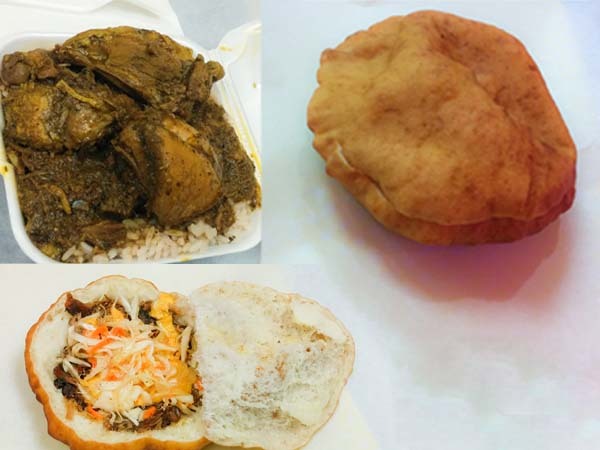 Caribbean Wraps’ menu includes curries, bakes (a soft sugar+flour dough, see below), patties, rice dishes, and roti wraps. Everything is prepared daily and made in-house. If you have not had roti before, it would probably help that I explain it. Unfortunately, my brain is telling me to write things like “a pillowcase of soft dough” and I don’t want anyone worrying after me, so I’ll leave it at this: roti is something you need to eat, soon, and with terrific urgency. Don’t believe me? Ask someone you trust, like Steve, or Amy. Or that other friend of yours whose name I can’t recall. Having said that, I walked into Caribbean Wraps last week looking for something I could take pictures of. And since I don’t think inside-out-roti is a thing (yet…!? ), I opted to forego the obfuscating dough-pillowcase in favour of Curry Chicken with Rice & Peas. Still well under budget, I added on a Bake & Jerk Chicken (under $4). Don’t take this on unless you are starving, or have something to prove. 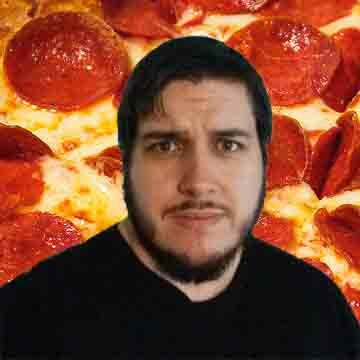 It’s…a lot of food. The curry chicken rests on a bed of brown rice with red kidney beans. The in-house spice is very comfortable – I have no hesitation sending the heat-averse here – but if you do tend toward the hotter stuff, believe me, they’ve got you covered (just ask). The bake and jerk chicken comes with coleslaw and closes up like a sandwich. “Bake” is a sugar+flour dough and is a bit sweet, which complements spice very nicely. The balancing act between sweet and heat, in both dishes, is really pleasant. 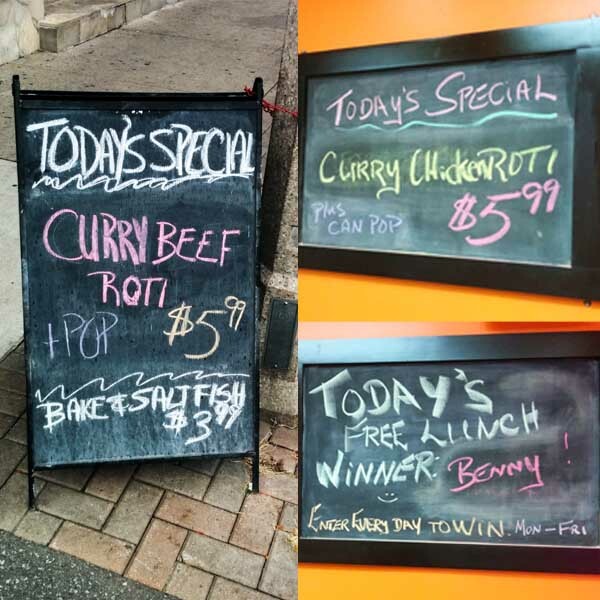 I first visited Caribbean Wraps (back in September) on a friend’s recommendation, and found some of the friendliest service around (yet another welcome trend downtown). There’s a lot to love here, and I suspect students will feel especially charmed. 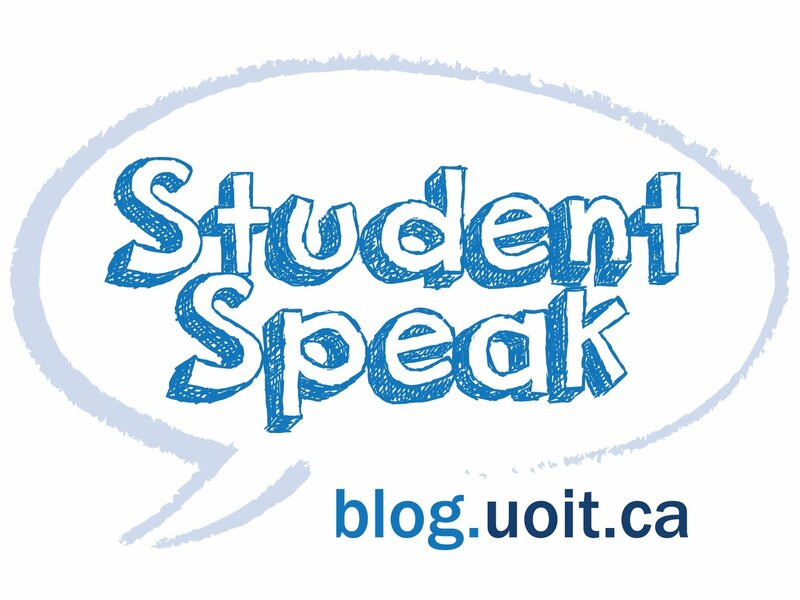 Flash your UOIT ID for 10% off, the special of the day will run you around $6 for roti and a drink (photographic evidence provided below! ), and finally, you can enter the daily draw by leaving your name/number on your receipt for a chance to win a free lunch. Caribbean Wraps is located at 70 King Street West, Oshawa. Enjoy!